Air Force One is one of the most exclusive aircraft in the sky. With the US Air Force at the helm, this plane is not just a tricked-out aluminum tube but a symbol of American diplomacy and power. While many people have heard about the quality cuisine and plush wood and leather interior, there are also some other surprises you might not be aware of. Technically, any plane that carries POTUS is considered to be Air Force One (AF1) — whether it’s a Gulfstream or a commercial-size aircraft. But the Boeing 747-200 model you’re used to seeing is, in fact, not one of a kind. Due to many logistical and operational needs, not to mention routine maintenance to keep it spectacularly spotless, there are actually two identical planes. Differentiated only by the tail number, every decorative feature, seating area and computer has been assembled into not one, but two indistinguishable blue and white beauties. 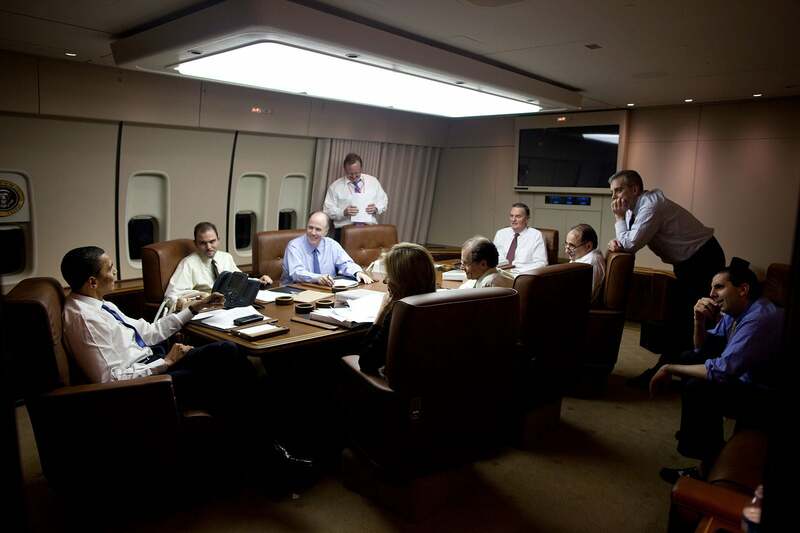 When the president leaves the White House to travel, he takes with him an entire mobile command center. The plane features conference rooms, more than 80 phones (both secure and non-secure), video conference capabilities, storage for a podium and even a full-size copy machine. That way, the president and his staff are able to smoothly transition from ground to air without missing the most valuable asset — time to work. It’s been widely reported that Air Force One meals are stellar, but did you know that even the snacks are superior? Passengers on AF1 don’t have to worry about bringing pretzels on board a flight, since baskets of fruit (grapes, pears and bananas), nuts (almonds) and candy are placed throughout all cabins. The highlight for chocolate lovers: personalized M&M’s and Hershey’s Kisses with the presidential seal emblazoned on them. A doctor is a standard member of the essential staff wherever the president roams and that’s true while he’s in the air, too. The plane is also outfitted with an onboard medical facility that houses two patient beds, a convertible operating table and a full pharmacy with back-up presidential blood. Security is one of the most important parts of the president’s travel plans, so even when the plane is not in the air, its safety is still a big priority. When flying to airports outside Washington, D.C., 24-hour armed Air Force “Ravens,” a little-known team of elite security, highly trained for the particular job of protecting aircraft and crew — stand guard on the perimeter of the craft. 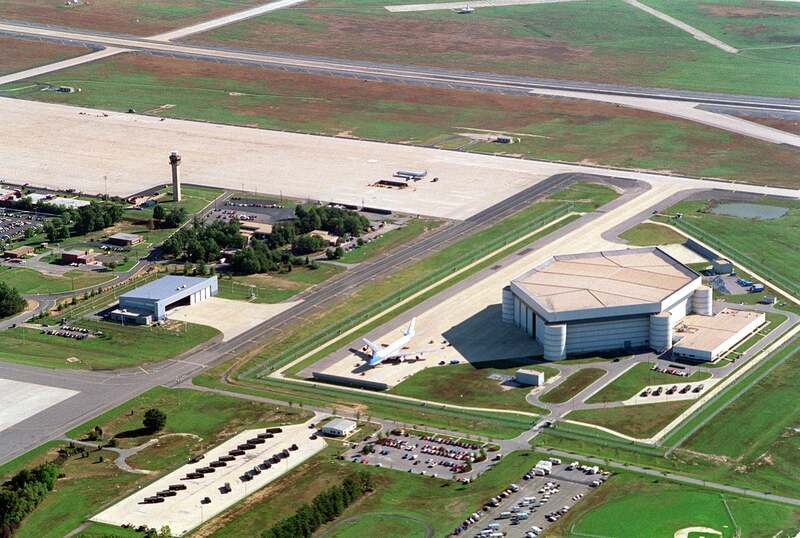 When not flying at all, the planes are stored in a highly secure and visibly sturdy hexagon-shaped hangar at Joint Base Andrews. In addition to having built-in stairs both forward and aft, Air Force One also needs no separate luggage belt truck. While a standard commercial aircraft requires an extra vehicle to get the bags on and off, on AFI, a rear luggage door opens and ejects its own mechanical belt for easy cargo and suitcase transport. The author, Joe Mahshie, was the Trip Coordinator for First Lady Michelle Obama for two years. His job allowed him to travel on Air Force One and Bright Star, the official plane of the First Lady. Featured image of Jorge Guerrero/AFP/Getty Images.